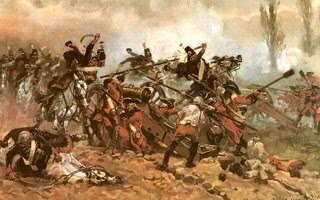 Carryings On Up The Dale: French Revolutionary War Campaign. Interlude. 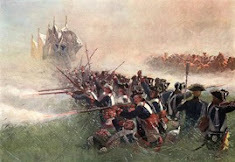 French Revolutionary War Campaign. Interlude. 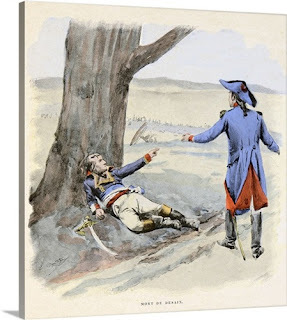 General Adhemer Patacaisse succumbs to his wounds at the point of victory at Le Croisic. 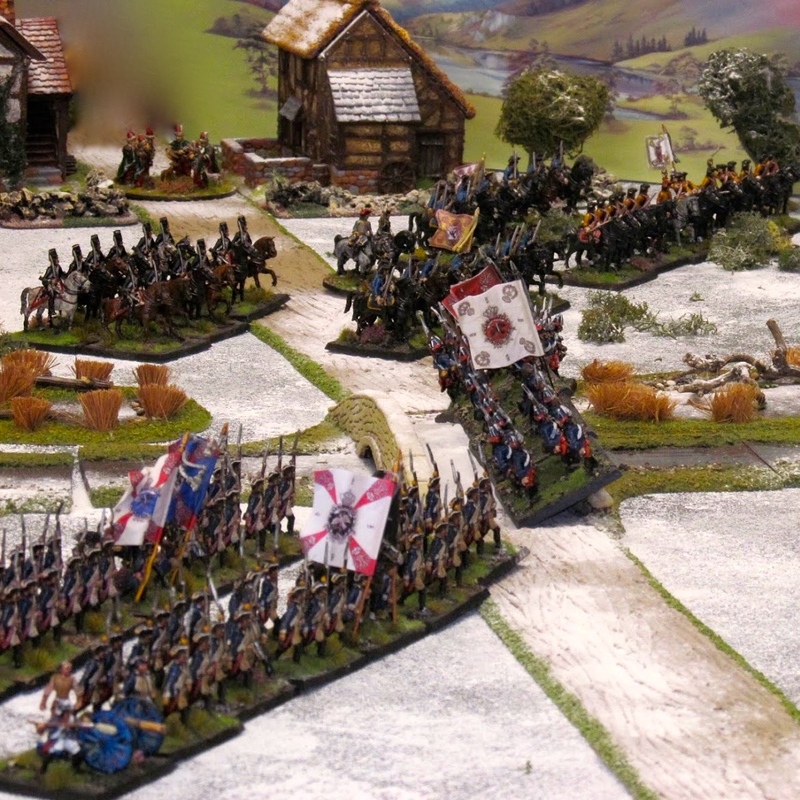 The afternoon of day 4 (turn 8) saw the impetuous English assault on Le Croisic repulsed with heavy losses. 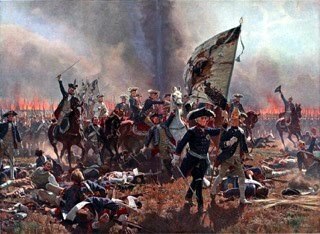 The attackers retired eastwards to the small town of Batz to lick their wounds and reform their shattered units. 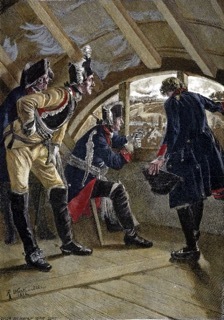 The French did not pursue at once, mainly due to a temporary vacuum in the chain of command following the wounding of the commander General Adhemer Patacaisse, which proved to be mortal, and he died as the fighting came to an end (unlucky dice roll). At Le Croisic fresh Republican troops were ferried over the bay or slipped through the marshes from the North, and with some of the garrison of Le Croisic converged on Batz, to find that the English had retreated further, to Le Pouliguen at the western end of the bay where the main force had disembarked a mere five days earlier. 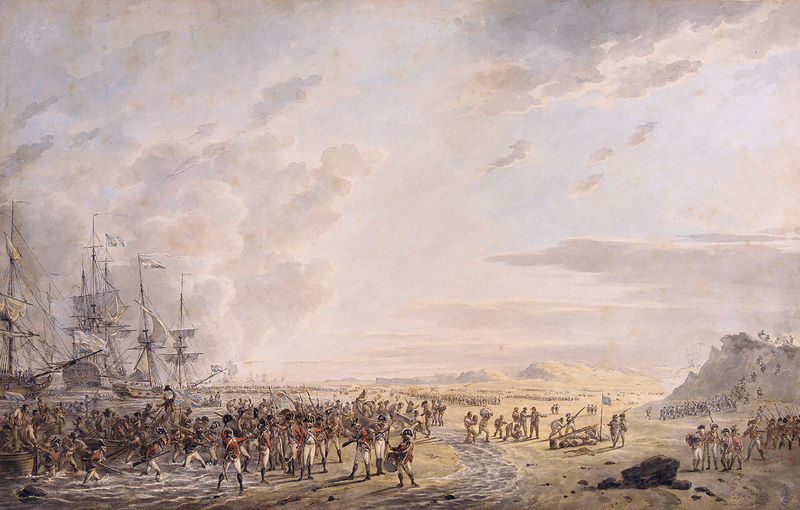 Reinforcements landing on the beachhead between Pornichet and Le Pouliguen. Full of confidence and revolutionary fervour (aka brandy) the Republican forces were now led by the commander of the Army of the West General Cancleux, who had ridden South from Quiberon immediately on hearing of the landings. 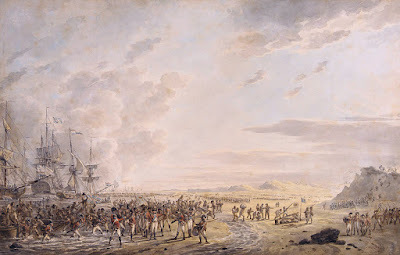 They approached Le Pouliguen around 4pm and launched an immediate attack on the English and Emigre forces deployed before them outside the town. Thanks for the campaign update and look forward to seeing how the battle went. 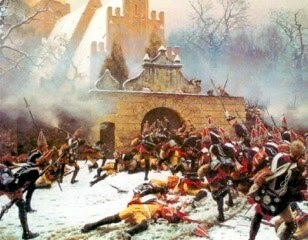 We shall have to hope the Brits do better in the coming Action!